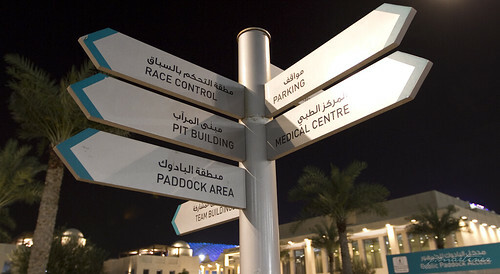 Abu Dhabi, 15 February 2011 – Yas Marina Circuit today announced the names of 10 UAE Nationals who will be given the opportunity to attend the Formula DRIFT Academy. The UAE drivers will be trained by world-class drift experts Michael Essa and Tony Brakiohapa in the art of drift racing and could be selected to display their skills at the Formula DRIFT event at Yas Marina Circuit on 25 February. The 10 drivers will learn about drift vehicle preparation and setup before taking to the Yas Vehicle Dynamic Area for individual drift technique coaching sessions. Four will then be selected for advanced coaching at the Yas Formula DRIFT circuit alongside a grid full of Formula DRIFT drivers, before demonstrating their art in front of the crowd at the Formula DRIFT event. The lucky 10 drivers are Mohammed Habib, Bassam al Shaya, Fahed Al Loughani, Abdullah Habib, Murshed Al Romaithi, Yousef Al Romaithi, Ahmed Al Romaithi, Ahmed Omar, Ahmed Al Ameri, and Hamad Al Ameri. 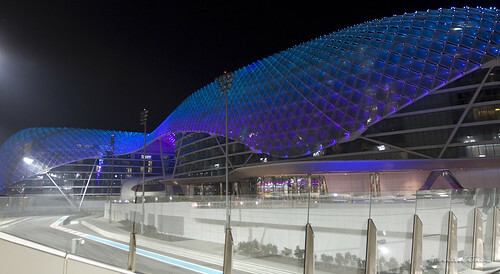 Richard Cregan, Chief Executive Officer of Yas Marina Circuit, is pleased to offer local drivers this unique opportunity. 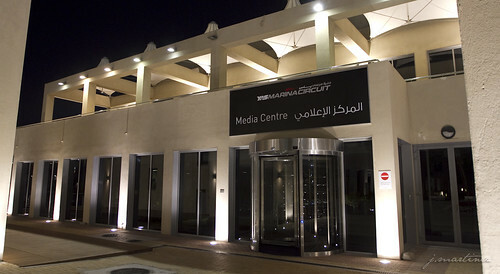 “We are always looking for local talent in Abu Dhabi to be involved in motorsport,” he said. “This is a great chance to develop our future motorsport stars. Drift racing requires a high level of car control and concentration, and the visiting Formula DRIFT drivers are the ideal people to teach those skills. Attendees at the Formula DRIFT event will be able to hear a performance from the exclusive Formula DRIFT song, Urban Skills, produced by Brvjnes to celebrate the event. The song will be performed by singer Hisham and is available for free download from the Yas Marina Circuit website and Facebook page. 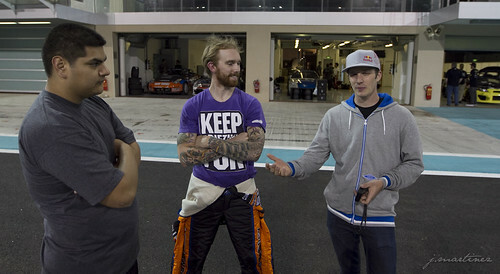 Tickets to Formula DRIFT at Yas Marina Circuit start from AED 50. Children aged 12 and under are free when accompanied by a General Admission or Premium ticket holder. 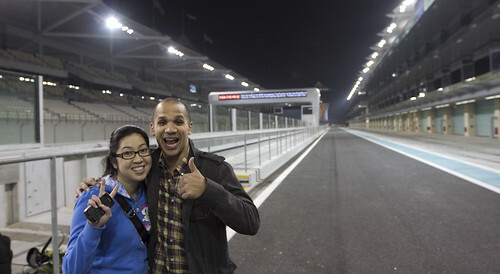 To book or for more information call 800 YAS (927) or go to www.yasmarinacircuit.ae for details. BALTIMORE, Md. (February 23, 2011) – The most successful racing video game series in the world, Electronic Art’s Need for Speed, is releasing the highly-anticipated SHIFT 2 UNLEASHED to the public March 29th, and 2010 Formula Drift Champion, Vaughn Gittin Jr., is excited to announce his huge involvement with the most realistic and immersive racing game on the market. 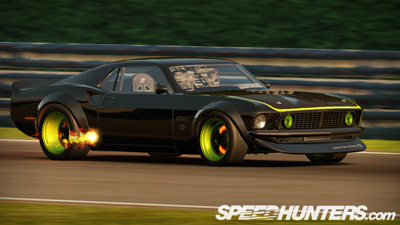 The Team Need for Speed ’69 Mustang RTR-X is the “boss car” in the Muscle element of the game and every player will have the opportunity to get behind the wheel of this amazing vehicle. “Just don’t scratch the paint!” Vaughn says jokingly. 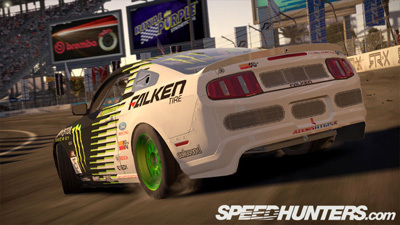 Not only is Vaughn in the player’s corner throughout the game, but he also works with them to teach them how to drift during the drift tutorial. 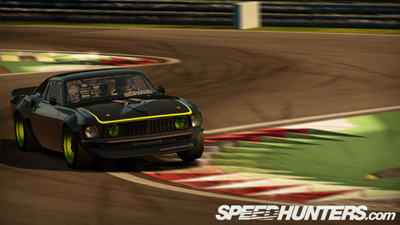 “Being the frequent Sim player that I am, I truly believe that having a proper virtual driving experience translates to a shorter learning curve when the opportunity arrives to hit the track in real life,” says Vaughn Gittin Jr.
Read Vaughn’s blog on Speedhunters.com for more details and pictures. 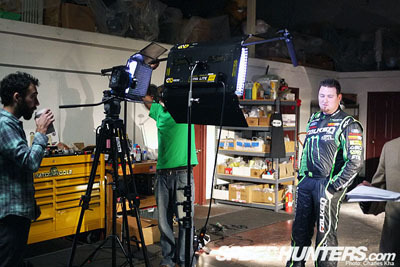 Stay tuned to VaughnGittin.com for updated news, pictures, and videos. Posted in Behind the Wheel | Tagged 2010 Champion, Monster Energy Drink, Need For Speed Shift 2, SpeedHunters, Vaughn Gittin Jr.
Late night at the Yas Marina Circuit. 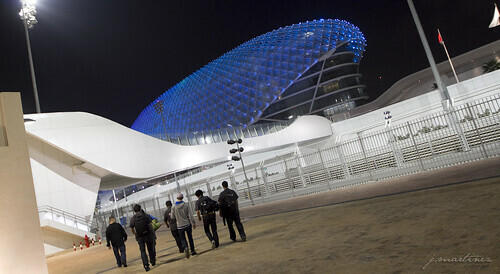 Its 7:00am here in Abu Dhabi – Today we’ll be setting up the cars and making sure everything its in order. The Drivers will be Go-Karting as well as Drag Racing.